Yesterday Amaya attended her 3rd culmination day at school. She is just 2 and half year old and still in Playgroup. Ideally as the name suggest Playgroup is for playing and having fun. Her school has culmination for every phase of the learning, Its not a big function but where children walk to the stage and talk about an assigned topic/object in front of the assembled parents. Talking means a few words and not even sentences. The last two culmination had ended in silence for Amaya. She went on stage, saw the big audience and froze. Unable to utter a word she came back. Not that she was disappointed as she does not understand why the whole fuss is about. Although we were little worried. Many children do speak. Some confidently, some scared, some amused. After coming home, she is babbling about the same topic. I am ok with it. Her father and mother (Us) did not speak much in school till they started college. It was wrong to put expectations on her. She is there to enjoy and not run a race. Yesterday was different. She went to the stage and said all her lines properly. She sang the song that was required and ultimately said bye to everybody. I, sitting in the audience was surprised, happy and proud. I have to admit, It’s a good feeling to see our child succeed. Last April when we took admission to the Playgroup, the intention was to help her interact with others. Living in a house of three, we were her only world. She has always been cold to strangers. She takes time to talk to people and even children her own age. At that time she was speaking only 1-2 words. We were worried if we were pushing her too early. By June she was speaking more words but we were not sure how the teachers would communicate with her. We were not sure if she would enjoy school and be with complete strangers even if it is for 2 hours. She started her school, she enjoyed it and she looks forward to going to school. After six months now, she is chattering continuously sometimes refusing to stop and mostly refusing to listen. I guess she needs time to learn to control her enthusiasm. She needs her time to learn and discover. She will take her time and my job would be to give her that time. Let her learn and discover without the pressure of any result. I don’t know if I do a good job. Maybe not 100% perfect but then parenting is always learning. Plot: A small time conman dreams big and tries to con a powerful man in turn losing his accomplice and mentor. He then teams with his brother to take revenge on the powerful man. My Thoughts: The film was a surprise. It is not a great movie but its not bad either. The heist or the con here is actually a well thought out plan. Not like in "Dhoom" series where style is more important that the actual heist is quite stupid. The success of a con movie depends on the whole journey till the final climax. The end is quite obvious but its the way the movie and the story goes in implementation of the con. The movie takes its name from Amitabh bachchan Starrer "Mr. Natwarlal" which itself was based on real life conman, Mithelesh Kumar Srivastava. The movie has enough twist and turns to keep you interested. Indian movies do require to have songs and that is the main problem. The songs do not add any value to the story and at the same time breaks the flow of the story. Paresh rawal is really good as the brain for the con. Emraan Hashmi does what he does, no complaints there. Kay kay Menon as the villian performs his job well. The heroine, Humaima Malik does not add any value but does contribute to the story in a small way so cannot complain there. 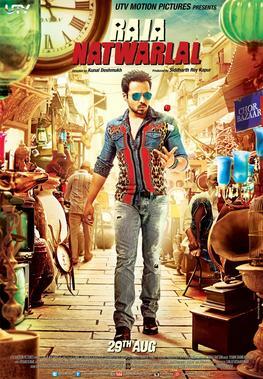 All in all if you want to enjoy a good con movie, Raja natwarlal is not a bad choice. The new year starts with uncertainty if not depressing. The company I work for has announced involuntary attrition which means that non-performing employees would be asked to leave immediately. However it seems that the company is targeting high salaried employee rather than performance. Again this is as per the various news and rumors floating around. The company has not defined any criteria of the lay-offs publicly . This is generating more anxiety and a feeling of uncertain future in the mind of the employees. I will not comment on the company policy, I guess any company has to take a decision based on what the market and shareholders expectations. After all business defines success on the return of Investment. It cannot be justified or debated upon or rather I wouldn’t want to. But then the new years starts with a negative feeling and that may harm the company in the long run. Again I am no expert in corporate affairs and its my personal thoughts but an exercise like that where the company targets senior executives who have given 5-20 years to the company might be a tougher on the executive who has to look for a job at that age. In any job once you start moving up the ladder, the stress and responsibilities increases. There is no fix office timing and personal and family time is what you get in between your work. The ongoing layoff exercise is shrouded in secrecy and with no concrete information coming from the company, it leads to lots of rumors and a negative image of the company leadership. I guess the company was ready for that too. Those who leave or made to leave will definitely have a tough time but those who remain will be worse. A sword of unexpected doom will always hang on the employees head. What it will do to their performance and their morale will certainly not be a positive one. Every employee will be looking at jumping ships at any available opportunity. Employees have lots of expectations and ideas about how a project or company should run. The position or reality at the top is not as per employee thinking. As for now today, I am not in the list but it does not mean I will not be. The last 3-4 years, I have done well in terms of work but then with no clear criteria, the future always hangs by a thread. If not this year then next year. The company performance is all about profit and optimizing cost. So either I cry over it or take it in the stride. I need to upgrade myself. Get the borrowed time I have to make myself more relevant in the industry. The feeling of unemployment is scary even if I look brave. I don’t know the people who actually lost thier jobs must be feeling. Its a scary world out there. Consider an example where the doctor comes to the heroine house and checks her pulse and informs the whole family “Mubarak ho! Yeh maa banne wali hai” (Congrats! She is pregnant). Or when the girl/heroine vomits, it is an indication that she is pregnant or girls get pregnant with their lovers/husband in one night in the rain. Remember “Roop tera mastana”. The reaction depends on whether she is married or not! It does not happen that way! Its so misleading so wrong. 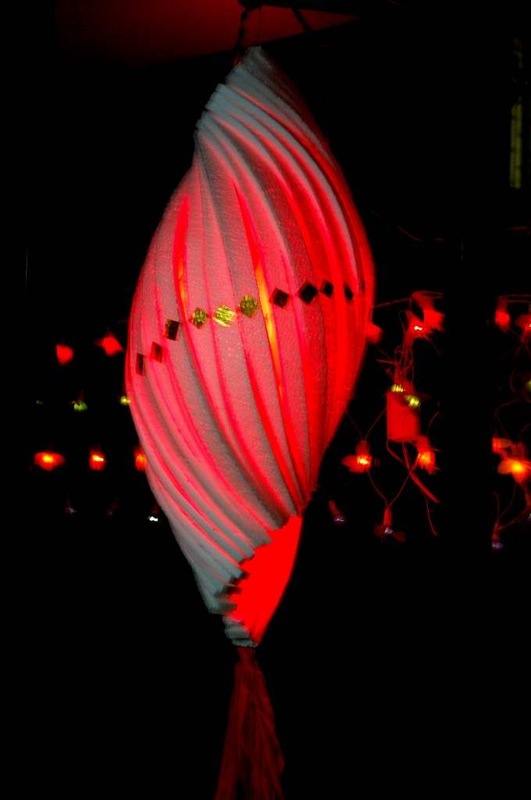 Conceiving is a very complex process. So complex that we had to wait almost a year to actually hear the good news. Yes! That’s right! Amu is pregnant and we have crossed the half way already. The arrival is scheduled to be in August. And then that sperm, that hard working, lucky sperm has to reach the egg and then there is a chance that even if the sperm reaches the egg they will not be compatible to make a life. And the doctor is never sure and not once did they check her pulse, not once. I was so disappointed. Nowadays you have pregnancy kit to make sure if the results are positive and the few minutes to actually see the colour change are no less exciting as the last scene of a murder mystery movie when the murderer is to be revealed. Yes! Its that difficult and its no child play! After trying for many months, we actually visited a doctor, a specialist one. The next two months were even more frustrating as he made us rush and run completing one test after another. It was tiring and stressful that we wondered how are we going to be in mood to make her body relax. Then he would get angry and expected us to follow everything he said without asking many questions. After all had big degrees and many trophies on the wall. We finally decided that we did not need such an expert and can actually work with someone with not many trophies on the wall. The second and our current doctor turned out to be so cool that we sometimes like to visit her just for nothing. She said that we should try and not worry about it which was our original goal when we decided that we need to become parents. It took 2 pregnancy kit and two blood test to confirm that we finally were successful getting the sperm and egg to fall in love but finally they did. But it was not before some extraordinary knowledge addition. We searched and researched every test we did. We went through our reports and explored the Internet to know what it actually meant. We found some weird ideas to get pregnant. We were advised by many weirder ideas to get pregnant. The food to eat to get pregnant and the food not to eat to get pregnant. Giving pregnancy advice is like hitting a lucky six in the local play ground when the bat accidentally had hit the ball and then using that six all your life to actually comment on Sachin Tendulkar batting and forming opinion how he should have played or not played. Its that easy! So after about 5 months we started seriously trying to have a baby, we achieved success. All doubts about us were cleared. I mean seriously! People doubt a lot! People do have a lot of interest in others life. During my struggle to get married, people said that marriage was the one step to happiness as if not getting married was solely my fault. After marriage, suddenly they were not happy. They wanted us to have children and every function gave them the opportunity to ask the question. But then now done and waiting, it was not before its own share of drama….. With its own suspense moments. Something about that….maybe later! On Monday evening, I got a call from Mathew informing that Lize has been admitted in hospital because of labour pain. Lize and her husband had the reputation of coming late for every engagement they had to attend. I was pretty sure that the child would follow his/her parent’s footsteps and come late than the 10 February deadline. But the child decided to make its presence felt on 17th January’s evening. We all were at the hospital waiting for Lize to deliver. However due to complication Doctors took a decision to caesarean late evening. Finally when the operation completed, 18 January had already dawned. Kavya was born just after midnight of 18 January 2011. A little underweight, the baby and her mother were in good condition. After waiting with the happy parents, we went home. I had to be in office the next day. The next day when I reached office, another surprise awaited me. I was promoted after missing an opportunity 6 months back. 18 January was turning out to be a good day. I decided why not meet her today and hopefully complete hat-trick of good news. I messaged her to meet me in the evening. She did not reply for a long time. I thought she might not be interested after all. I learnt after marriage that she kept her phone in her purse and would not look at it for many hours. Finally she did reply with a confirmation. We decided to meet 6:30 at Dadar. The day passed like that with more office issues than thoughts about her. With so many rejections, I had stopped being excited about these things. I started around 5:00 from the office. At around 6:00, she messaged me "I left"
I smiled. My devil mind and my eager fingers was tempted to reply "I Right". But the question was about impressing the girl and a message like this would put the odds against me and my sane mind decided against messaging her. I was as usual on time and surprisingly she did not keep me waiting much. Dadar is a pretty crowded station with lots of restaurants and place to sit. It was not my first trip to Dadar to meet a girl and I had a good idea where to go. But then she stumped me. She did not want to sit in a restaurant and she would prefer sitting somewhere and talking without the waiters disturbing us with bills. Only place where waiters would not disturb was "Cafe Coffee Day" but she did not want to sit in a restaurant at all. We decided to walk to Shivaji Park and talk there.Shivaji Park, a big public ground and a very famous landmark is almost around 15 minutes walk from Dadar station. I suggested we can also talk while walking. So we started walking and talking as we walked. I told her about me and she told me about her. We talked about our expectation regarding our partners and we talked about everything that we could think of and can help the other to make decision. We walked along the busy Dadar streets talking, sharing and discussing our life. Shivaji Park still eluded us. Neither of us were aware of the road to Shivaji Park nor we felt the need to ask somebody. We were just engrossed in our talk that it didn’t matter that we were walking for a long time. When the light finally started fading, we decided to come back to Dadar station failing to find Shivaji Park. Shivaji Park was the destination but the journey was more interesting! She had also made a decision. When we finally parted way in Dadar station, I asked for 2 days time to revert with my decision. Later she told me that When I told her about two days, she was pretty sure my answer was No. I bid her good bye and asked her to message me when she reached home. As I took my train to Borivali, I almost knew that my search was over! The “meet the girl/boy meetings” for marriage are really the odd meetings. The idea is to have people talk and understand each other in a very very short amount of time. In Indian context it becomes even more difficult when the parents and relatives get involved. Everybody is looking at the boy and girl and expects them to know each other and talk about their future in front of everybody. Not only its difficult but rather embarrassing. I for one always insisted that I meet the girl at a neutral venue. However my mother did not approve of it and said that no parent would approve their girl to meet a boy alone. I found it rather amusing. I wasn’t calling them in some shady secluded space but in a public place. I was being the best of gentleman or what I knew of being the best of gentleman. I talked to them politely. I tried to get most from the discussion and told them everything they asked or did not ask about me especially what matter for a girl to choose her husband. I even paid for the hotel bill. During the last 2-3 searches, she insisted that we meet like many others searching individuals. I did not argue. But the results were the same. As a matter of fact, I found that girls preferred to talk without their family. They were more forthcoming about the type of husband they were looking for without being judged by others. The Indian family structure prefers to give less rights to their girls. Although this is changing fast, we still like to be stuck when the family want to take decision for the girls. So when Amu’s family wanted to meet, I did not have high hopes. As usual my sister-in-law and mother made the house neat and tidy. Its amazing that our house could be transformed from clutter to highly organized for such special occasions. The time was fixed at 4:00 PM Sunday, 16 January 2011. As always I was always the same person without preparation or special clothes for the occasion. They came a little after 4:00 PM. She came with her Mother, her elder sister and her brother-in-law. I had already seen her on Facebook. I had sent her my photo in the mail. She was in the same white dress with the green dupatta as in her Facebook photo. We had some snacks specially brought for the occasion. As expected it was odd. My mother and brother talked to their family understanding their family line-up. It seem my mom’s cousin brother was once their neighbour. I, meanwhile was stealing a glance at her. It would not been appropriate to stare at her especially in front of her family. They asked me about my job and salary. I asked her what were her expectations. She wanted a man with good heart and stable financially in his life. I satisfied one condition completely and one somewhat. 1 out of 2 is not bad at all. My mother wanted to seal the deal and asked me to go in my room and talk. I said a firm “No”. It did not look like a good idea with both of us talking in my room with my and her family waiting outside. I told them I wanted to meet her alone maybe in a day or two. After the usual discussion on the families and village and the ancestors and our jobs and current bad state of public transport, there came an awkward moment when there was nothing to discuss. A long silence with people looking at each other. Anybody who must have attended this kind of meetings knows this silence. Finally relief arrived when her mother said that they better get going. I told them, if they decide to go-ahead we will meet in a day or two sometime in the evening. I took her number. They went away that day with the promise of meeting again. I decided to meet her on Tuesday as Mondays are always busy. 2 days from that day, life was going for a big change! As I alight on the Churchgate station for a new day at work, I take a right instead of the subway. I have been doing this since the last few days. The road from the station to my office goes through the business district with building around. The route from the right is longer but takes me along the sea. While coming to office, one station prior to my destination, I look out of the window to find a cloudy sky over a somewhat raging ocean. The weather seems pleasant than the usual humid Mumbai climate. I walk toward the sea from the station. The shops don’t open that early and the road is much quite at this side of the town. The bustling business district is just maybe a kilometer away. The Buildings at the side of the road still have the old world charm. They have not been taken over by builders who build ugly glass building called offices with limited colours like blue and grey. I cross the Hotel Ambassador. Everybody tells me that there was a revolving restaurant at the top of the building. I am not so sure of the rumors. A quick search on the Internet reveals that there indeed a revolving restaurant offering a breathtaking view of the Queen’s Neck;lace called the "Pearl of the Orient". On the left is the renamed "Pizza by the Bay" It was earlier known as "Jazz by the Bay" where live jazz was performed by upcoming artist every night. I am not sure Jazz is still played there. Mumbai is a fast city. The concept of sitting relaxed eating and listening to music is probably alien to the metropolis. These buildings were built when Mumbai was just starting to grow into a metropolis. When it did not matter if it was called Mumbai, Bombay or Bambai. Debatable issues which I have no wish to fall into. I cross the road they to reach the Marine drive promenade. The sea beyond the walls is not as raging as I imagined it to be but still the waves splash the wall with little fury. People on the promenade are a relaxed lot. No office rushing people here. I want to sit there and enjoy the sea and its breeze. Amu and I would sit here in the evening before marriage. We haven’t come here in a long time. Maybe we should again and maybe on a morning. The mornings are much quieter here. The occasional joggers with the whole music and pedometer and all that fancy gadgets and shoes and the whole attire. The health conscious wear shoes. I see a middle-aged man with bright green t-shirt and brighter green shoes. Thankfully he is not wearing any green shorts. Another jogger lady experiments with bright blue pair of shoes. Another jogger ahead is comfortable with mellowed down blue shoes. A middle aged woman in salwar tries to run through her weight. An aged man walks with a brisk pace. They all try their own version of something called exercise. A man in fifties is making a strange gesture of clutching his both hands and making a movement as calling everybody to him. A closer look reveals that it his his version of exercise. The young couples facing the sea oblivious of the surrounding. There is more privacy in the morning. A girl in a burkha comes along with her boyfriend. Love still find a way in a conservative society. Then there are those loners who sit by themselves watching the sea. And there are the college kids who come in dozen admiring the early morning sea and sky. Servants of affluent families are there to walk the dogs. I think walking with the dog is the best way to connecting with your pet. I guess a dog has become more of a status symbol now. A boat with two fisherman wobbles in the sea. Early morning catch it seems. As I turn toward my office, the clouds are just clearing up. The sun shines through the clouds and the first bead of sweat breaks from my forehead. An indication of the day to come? Maybe! An extra 10 minutes than my normal way but mind recharged for the day! Bhoole Bisare Geet – 23 – Lakkh Lakkh Chanderi…..